It is easy to add more lamps to a tanning bed, but SunMaster takes a different approach that will save you a lot of money, while giving you a decidedly better tanning experience. The SunMaster 16E tanning bed is our next generation, and it beats the competition by a country mile. Our smart electronics deliver 30% to 100% more UV than generic Wolff systems. This is why the SunMaster 16E will outperform virtually every 24 tanning lamp Wolff System, guaranteed. Get less heat and more tanning rays per watt. Computer controlled precisionThe new SunMaster 16 series comes in a few different configurations, including with our Custom Bronzer, premium ClearTech 20 or with the non-UV 633nm red lights. Regardless which system you choose, you can expect premium results at a great price. Rather than use ABS plastics, the SunMaster 16 series is solid steel, welded construction then powder coated for the most durable tanning bed on the market. The inner frame is welded square tubing, and it features an integrated steel shell, using the same steel as our most expensive 36 lamp tanning beds. 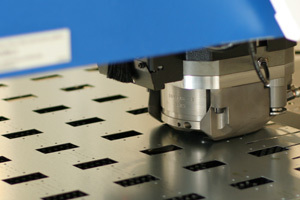 By using precise CNC equipment for the entire process, precision and quality is guaranteed. Even the pedestal base (included at no extra charge) is solid steel, providing extra stability and durability that plastic tanning beds can't compete with. At SunMaster, we are obsessed with durability, which might be why we have the highest resale value in the industry, and have for over a decade. SunMaster has always been on the front edge of technology, introducing a dozen industry firsts over the last 28 years. While others imitate, SunMaster continues to innovate. Rather than use generic electronics and Wolff lamps that are well past their prime, SunMaster delivers more UV per watt, more comfort per session, and more usefulness for each dollar you spend. When you buy SunMaster, you are investing in a lifetime of tanning. Why pay more for old technology? Tanning technology has moved forward just as much as cell phones, computers and TVs. Would you pay $1000 for a 30 inch TV that weighs 80 pounds? Maybe 20 years ago, but it doesn't make sense to pay new money for old technology, whether it is a TV or a tanning bed. SunMaster uses patented electronics, like the SunHorse, and patented tanning lamps like the ClearTech 20. Cutting edge technology that delivers more tanning power for your money. Lamp per lamp, SunMaster delivers up to twice the performance, making them a smart choice for serious tanners. 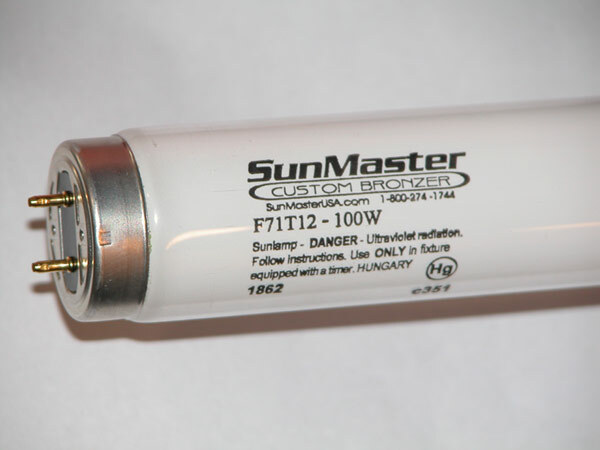 SunMaster lamps are America's favoriteThe 16E comes standard with SunMaster Custom Bronzer tanning lamps, one of our best sellers of all time. This is a proven 5% UVB lamp that is slightly hotter than the older Wolff lamps, and delivers exceptional bronzing action. It has been featured as the original lamp in the SunMaster Signature Series as well as most "M" and "K" Series commercial tanning beds. It is also one of the best selling replacement lamp for enthusiasts looking to upgrade existing Wolff tanning beds. Customer feedback for this lamp has always been high. Most home tanning bed owners get over 5 years at peak output with this lamp. That means at least 2400 average tanning sessions at 20 minutes each. Rather than locking you into special equipment, this bed uses the standard F71T12 sized lamp, so it can be replaced with the same lamp, or your choice from any vendor you choose. Since a 24 lamp bed costs 50% more than a 16 to relamp (yet tans the same as the 16E), your SunMaster 16E will cost you much less in the long run. Not all electronics are created equal. We admit it: electronics are boring. No one really wants to hear about them, but they are as important as the lamp when it comes to tanning bed design. Maybe more so, since you can change lamps, but you can't really change the ballasts. For those that want to keep it simple, know this: SunMaster has always led the pack when it came to using state of the art electronics, and the 16E Series uses the most powerful system that SunMaster has ever created. You can't really compare this to other 16 lamp beds: the output is closer to a 24 lamp generic Wolff system. This is because they operate at over 100,000 hz and are designed only for powering tanning lamps. The difference is remarkable. For those that want a little more info: Each ballast powers 4 lamps, and draws a bit more power than our traditional system, yet is more efficient at producing ultraviolet. You are getting 24 lamps worth of power being delivered to 16 lamps. Don't worry, these lamps can take it and it won't affect their lifespan. As a matter of fact, this ballast is more gentle on the lamp cathodes than the old school electronic ballasts, so they tend to last even longer. We have cycle tested the SunHorse over 10,000 times without a failure, proving how durable they are. This would be like you tanning every other day, for around 55 years, without a failure. So the SunHorse ballasts use a little more power, deliver a LOT more more ultraviolet and are designed to last for decades. Until now, the market has basically been divided types of products: Big, heavy units that perform well but take up a whole room, and small home tanning beds that perform marginally. The SunMaster 16E bridges this by using a solid steel frame like our big beds, the electronics and lamps of our highly acclaimed 32M series, and delivers it in a system that is compact enough to fit anywhere, yet not too small that it is uncomfortable. A tanning bed shouldn't be in the way or hog up half of a room. The 16E doesn't waste space, and every square inch of it is usable and useful. All of this is fine, but it is results that matter most, and delivering beautiful tans is what SunMaster is all about. Because of the precise electronics and lamps, you can expect golden brown tans, not "orange-red glow" that looks more like a spray tan than a suntan. SunMaster tanning beds are fast, but not at the price of quality. Some tanning beds are better at getting you red (which fades quickly) but SunMaster isn't about burning, it is about bronzing. Deep, quality tanning results in just a few sessions. Others talk about it, but SunMaster put their money where their mouth is when it comes to customer satisfaction. All SunMaster tanning beds are put together right here in the USA. Each is individually assembled, tested and verified before leaving our factory, which is why we can give them the industry's only 30 Day Money Back Guarantee. If you don't think that your SunMaster is the finest tanning bed on the market, you can simply return it for a refund. No else offers this because no one else builds them like a SunMaster. Buy online today, or call us at 1-800-274-1744 during business hours and we will be happy to get you started with the best tan of your life. Want to upgrade? The 16LE uses the same frame, but comes with our finest premium lamp, the ClearTech 20, plus a huge kit of tanning lotions and accessories. It is guaranteed to be the most powerful 16 lamp bed ever made. Click here to see the differences.